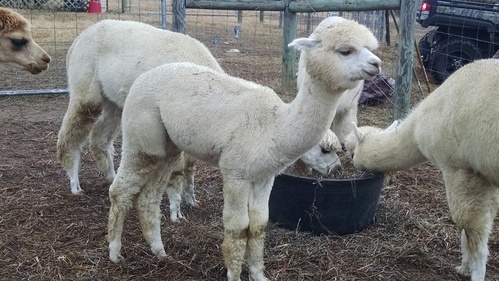 Laredo took first place halter in the 2002 Star Events Breeder's Challenge in composite Huacaya Combined Dark Male yearling and the 2002 AOBA National Alpaca Show in Full Fleece Huacaya DB Male, juvenile. Laredo is the offspring of 4Peruvian Matador 6030 and PPPeruvian Lea. Brenda Lee is a half Accoyo, beautiful and sweet girl with gorgeous, expressive eyes. She has size, bone, correct confirmation with a beautiful head. Brenda Lee is half sister to D. Accoyo Degas, 2006 AOBA National Conference Reserve Gr. Champion and 2006 Double Champion-Ohio Triple Crown. 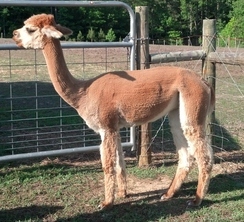 Her sire won the prestigious 2002 AOBA National Alpaca Show in Full Fleece for a juvenile Huacaya DB Male. We wish that Brenda Lee had gotten the chance to compete before she joined our herd a couple of years ago. 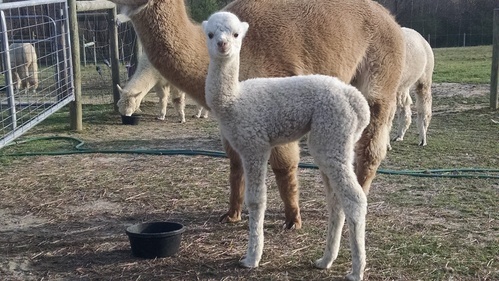 I am told that her first cria had a 16.7 micron count. Now she has had her second cria, female, with us. Needless to say, we're very excited about the potential. Brenda Lee was bred by Nel Vickers, wife to the late Dr. Jim Vickers of Maplewood Farm, Charlevoix, MI. 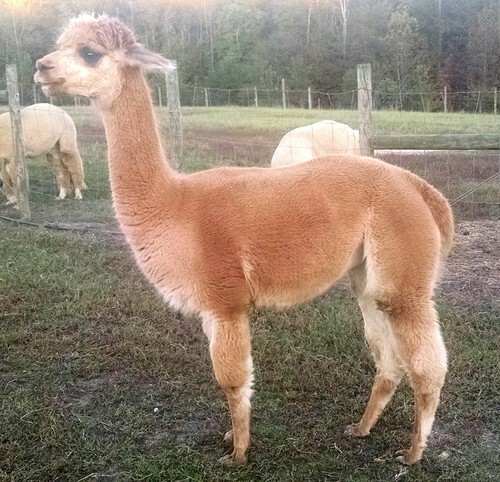 Dr. Vickers was actively involved in the selection and sales of the first and subsequent importations of llamas and alpacas from Peru to the United States. 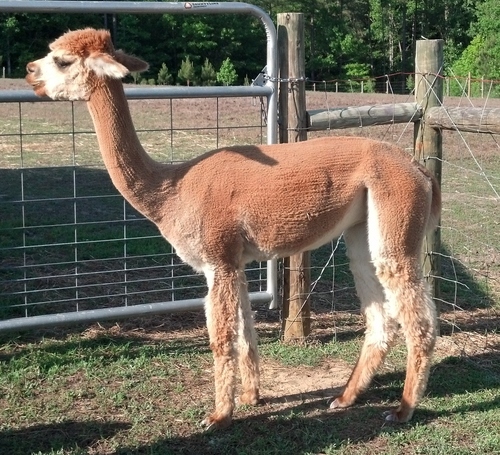 Nel Vickers has over 30 years experience in the camelid industry. Call me if you want to add Accoyo genetics to your farm with a solid foundation female. She is selling with a breeding to one of our sires.